Fall veggies: Did I wait too long? Did I wait too long to plant my fall veggies? 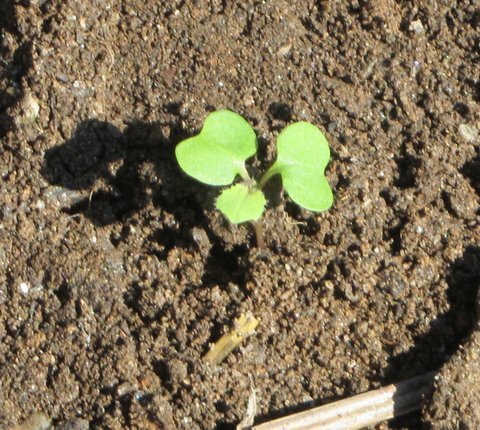 I’ll confess that I’ve just transplanted my fall lettuce and rutabaga seedlings, and my fall chard has sprouted but the seedlings are barely large enough to notice. I believe my lettuce transplants—Green Ice (from Totally Tomatoes) and Red Velvet (from Seed Savers Exchange)—will grow to pickable size because they mature in 45 to 55 days. They may be small this week, but I’ve planted them in the mini-greenhouse I wrote about last winter. Unless temperatures dip into the low teens, I’ll be picking lettuce through the winter, as I did last year, thanks to the simple protection of the mini-greenhouse. Will they have time grow? My Ruby Red Swiss chard (from Burpee) is another story. I should have planted it in August, but, well, you know the story. I did remember to plant three short rows on September 21, and those plants are about a half inch tall now. I’ve covered two of the three short rows with an upturned, translucent storage box, and after 10 days the protected plants are noticeably larger than those in the unprotected row. If we have a mild fall, I’ll be picking small leaves first for adding to our salads and larger leaves later for cooking as a leafy green. Chard is a cool-weather vegetable that requires about 60 days to mature but will grow through a mild winter here in central Maryland, so with the late start of my chard plants, I’m hoping for mild weather. What about my rutabagas (Helenor F1 Hybrid from Johnny’s Seeds)? I suspect I’ve waited too long to start them because they take about 90 days to mature and may not grow large enough to harvest in the ever-shorter and ever-cooler fall days. If we have a warm fall or a not-too-cold early winter, I may have some good pickings of lettuce, chard, and rutabagas. But if we have an early and severe winter, we may be adding the names of more veggies to our grocery list. Nothing ventured, nothing gained, is the old saying, and that certainly applies to vegetable gardening in the fall. 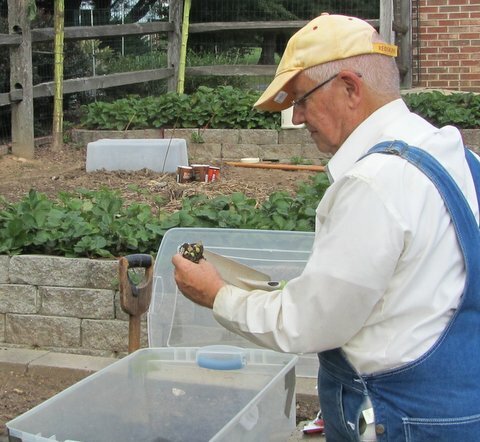 While I was tending my just-sprouted lettuce and rutabaga seedlings, Adrian Higgins’s article, “The fall gardening season” in the Washington Post, reminded me to get my fall crops planted. To read his article, CLICK HERE. 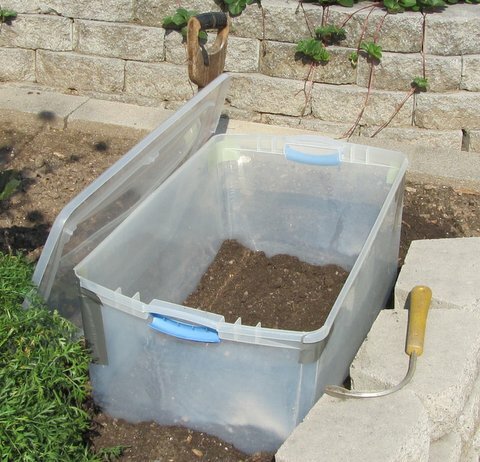 If you want to see how I made a mini-greenhouse from an inexpensive storage container, CLICK HERE. In August, I planted green bean seeds and now, I have great crop. I guess your vegetables are more challenging to grow. I hope to hear later good news from you. Good luck! Wish I had planted my rutabagas and chard in August, Paul. Next year! I planted my pole beans on June 9 and just started to harvest beans last week! Bush beans I planted in May produced just fine. I planted a fall crop of arugula, kale, spinach, lettuce, Swiss chard, and beets in August. Only the arugula germinated. I thought the seed I bought this spring might have gone bad so I bought new seeds and planted again in September and only some of the lettuce and spinach germinated! I planted zucchini late and successfully avoided squash vine borer. Unfortunately,I also avoided getting any zucchini. 😦 I planted Tasty Green Hybrid cucumbers on July 7 and got a good crop of tasty cucumbers even though there were plenty of cucumber beetles and squash bugs. Each year is a different set of successes and challenges. Helps to keep me from getting bored! I hear you, Ria. I did two fall “plantings” earlier than what I wrote about. One equalled zero. Another produced three chard plants–sufficient for me to start again. 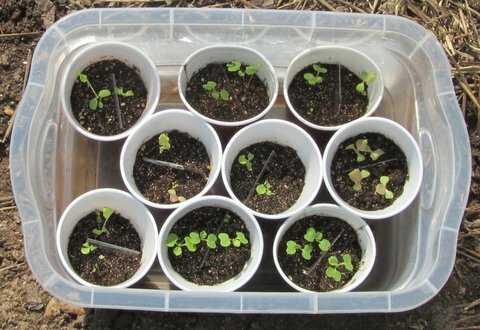 I hate to admit that I'm starting more and more of even my leafy veggies in cups in good starting soil and then transplanting them when they're about a week old–which is what I did with the lettuce and rutabagas in the posting. Success in cups here is about 100%. In the four days since I transplanted the rutabagas into the open garden, they've doubled in size. I transplanted 7 and have 7. Can't beat that!